In order to develop complementary and mutually supportive approaches to counter hybrid warfare, NATO and the EU have agreed to intensify cooperation. While individual Member States of both organisations have primary responsibility for defending against hybrid threats, these efforts need to be facilitated and coordinated. The EU and NATO can, for example, establish minimum requirements for defence capability planning, set benchmarks to improve the resilience of critical infrastructure, or provide a platform for assistance to their members. In May 2015, NATO Secretary General Jens Stoltenberg said that the goal in this area is to ensure clarity on “who does what and when”. In June, the European Council stressed the need to mobilise EU instruments to counter these threats and to intensify partnerships. In addition, the EU High Representative for Foreign Affairs and Security Policy called for the EU to work with NATO to sharpen its focus on crisis management and hybrid threats. By the end of 2015, the EU will adopt a joint framework to counter hybrid threats and the new Foreign Policy and Security Strategy (to be delivered in June 2016) will address the hybrid dimension. Meanwhile, NATO is preparing a “great and important adaptation” of its overall strategy in the run-up to the July 2016 Warsaw Summit. A White Paper jointly prepared by Allied Command Transformation and the Atlantic Council notes that the Alliance must have a plan for dealing with hybrid threats and be able to deploy hybrid assets with short notice. The Alliance is advised to develop a hybrid warfare strategy. In crafting their approaches, the EU and NATO should work together closely. A recent report calls for a new NATO-EU strategic partnership to counter hybrid threats. 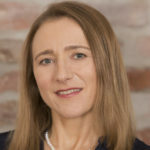 According to the authors of the report the partnership, established by a combination of informal means and by “just doing it,” should entail close coordination of the strategic messaging; complementarity in military operations; and a common catalogue of steps for escalation/de-escalation and hybrid responses to hybrid threats. The report also recommends broadening cooperation to other sectors and deepening it in terms of substance. Indeed, NATO-EU cooperation today is limited to mutual information exchange in narrow areas such as the EU military operation in Bosnia and Herzegovina and capability planning. Fortunately, the first steps towards expanding cooperation have been taken. The frequency and topic areas of staff-to-staff meetings have grown, both at political and expert levels and the informal cooperation network functions well. For example, in May this year, the EU’s High Representative for Foreign Affairs and Security Policy, Federica Mogherini, attended the NATO Foreign Ministers meeting. While helpful, these contacts nevertheless need to be followed by concrete actions and projects. Regular contact and exchange of views should be conducted at Ambassador and working levels, including between the intelligence communities. A joint hybrid warfare working group could identify areas with good potential for enhanced cooperation. First, both organisations should address their own internal situational awareness of, and vulnerability to, hybrid threats while increasing information exchanges and even intelligence sharing. Increased situational awareness will facilitate the road to a shared understanding of the threats faced by both the members of the EU and NATO. Currently, the Situation Centre of the European External Action Service (EEAS) produces threat analyses; and the EEAS has proposed the establishment of a fusion cell for indicators and warnings of hybrid attacks. Both the EU and NATO should establish early indicators of hybrid threats, and share this information. The EU could facilitate voluntary information exchanges about resilience and vulnerabilities among Member States by creating secure cyber security exchange platforms. These arrangements would enable countries to assist each other in the event of a crisis by having prior data on vulnerabilities, mutual dependencies, and national means and tools to mitigate and respond to threats. Better cooperation is also critical in strategic communication. The EU and NATO should synchronise their strategic messaging while sharing best practices and lessons learned. Messages should be coordinated among Member States, EU institutions, and NATO Headquarters. This work has already begun – the EU has adopted an Action Plan on Strategic Communication, while the NATO Strategic Communication Centre of Excellence (COE) in Riga, Latvia, has conducted studies on the use of information and cyberspace as part of hybrid warfare. Cooperation could easily be beefed up in the area of education, training, and exercises. The EU and NATO could exchange concepts, doctrines, and curricula for crisis management education, training and exercises, and attend each other’s training sessions. In the area of cyber defence for example, the EU participated at the NATO’s annual Cyber Coalition exercise. Both organisations are planning to integrate cyber aspects into military exercises. The European Defence Agency (EDA) and the NATO Cyber Defence COE in Tallinn, Estonia, have established a liaison to exchange information. EU staff could attend the Cyber Defence Awareness e-Course for general users along with a Cyber Defence Operational Planning Course oriented to operational planners that has been developed by the COE. To speed up strategic political and military decision-making in both organisations, lessons learnt from crisis management exercises and case studies should be developed into a Concept of Operations, describing the roles of decision-makers and offering decision alternatives. Moreover, the EU and NATO should explore allowing the use of each other’s existing facilities and projects, such as NATO’s cyber range and the EDAs cyber training initiatives. Another example is the Cyber Information and Incident Co-ordination System (CIICS), a cyber-incident alerting tool developed by five allies in the framework of NATO’s “Smart Defence” Multinational Cyber Defence Capability Development (MNCD2) initiative. This was used at the last Cyber Coalition exercise and could be provided for the EU’s cyber exercises as well. 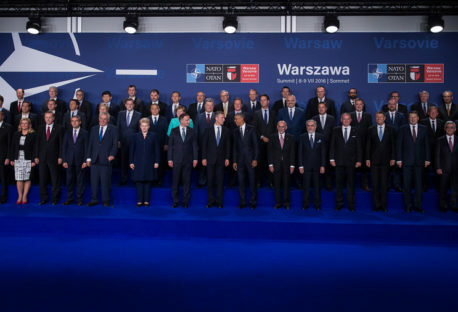 “Next Steps in NATO’s Transformation: To the Warsaw Summit and Beyond”. NATO Transformation Seminar 2015, Washington, DC, 24-26 March 2015. “New Threats, New EU and NATO Responses.“ Clingendael Report, July 2015. The opinions articulated above represent the views of the author and cannot be regarded as the official position of the European External Action Service. They do not necessarily reflect the position of the European Leadership Network or any of its members. The ELN’s aim is to encourage debates that will help develop Europe’s capacity to address the pressing foreign, defence, and security challenges of our time.